The City of Houston no need to purchased Carbutler Hybrid Oil Interceptors for all the car wash use.﻿, We use Steam to wash cars. We provide mobile detailing services to care for all of your modes of transportation. We are happy to provide top quality service using our Eco friendly products! 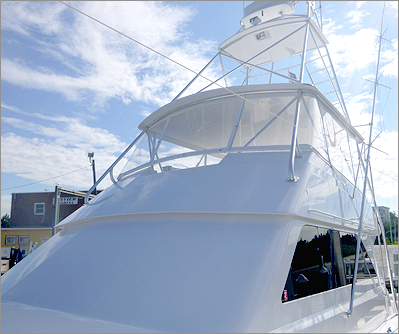 Boaters need to know how the sun, salt water and other elements can take their toll on fiberglass, gel coat, metal and vinyl. scratches from fiberglass and gel coat surfaces. 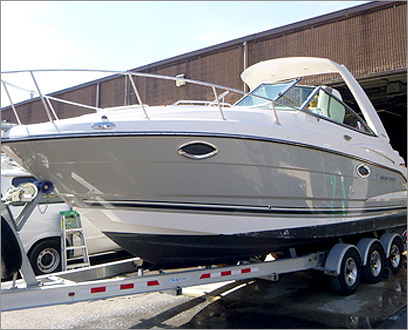 Express Detailing - Our Express Detailing includes a complete wash and chamois hand dry of all exterior surfaces including vinyl, metal, non-skid, and windows followed by an application of wax/cleaner wax using a high speed power buffer on all fiberglass. Full Service Detailing - Our Full Service Detailing includes a complete wash and chamois hand dry of all exterior surfaces including vinyl, metal, non-skid, and windows followed by an application of wax/cleaner wax using a high speed power buffer on all fiberglass PLUS cleaning above deck compartments, UV vinyl treatment, metal shine, window treatment, canvas cleaning and helm cleaning. Scum line treatment included. Steam is the ultimate penetrating power to clean and sanitize tile floors, grout, walls and most any other surface. dust mites and their eggs and many other allergy causing pathogens, along with easily cleaning out dirt and grime without any harmful or harsh chemicals of any kind. No more chemicals, no heavy scrubbing or messy cleanup. Cost effective, chemical free cleaning is easy with all of our steam cleaners. The "dry" steam cleaning system is the most efficient, economical and safe way to clean, sanitize and maintain your floors, tile and grout and many other must clean surfaces and items. Steam melts away grease, grime, dirt build-up, mold and even many stains thought to never come out. Kill bacteria and viruses that many chemicals can not. Steam cleaning leaves the item to be cleaned, thoroughly clean, sanitized and deodorized in one step, with very little left over residual water.